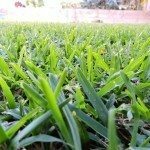 When is the best time of year to seed a lawn? Most of the time with most grasses, it is best to seed in spring. This can be different for different types of grasses, but in most cases, the best time is still spring.